If you happened to miss Laguna Beach’s Artwalk on August 6th, we are happy to inform that you can still check out some of Shaun Thomas’ wood wall sculpted art that is still on display! 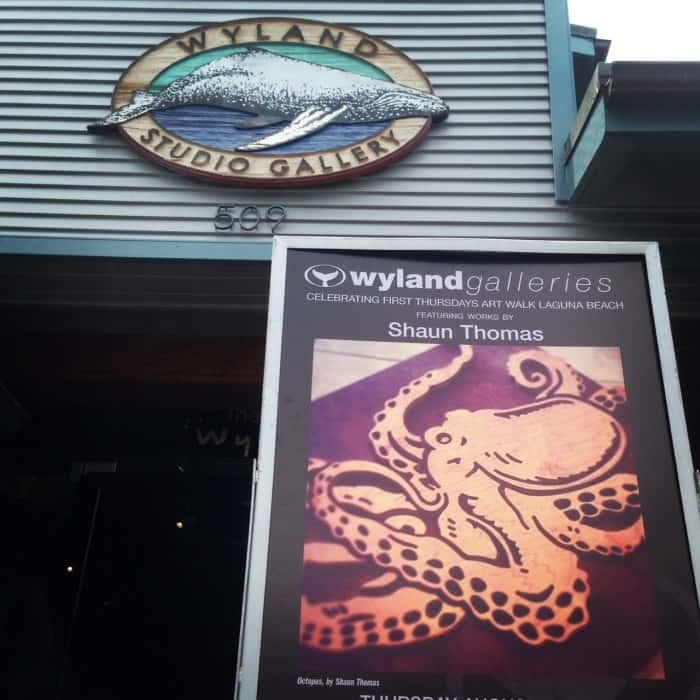 The amazing Wyland Studios Gallery in Laguna Beach chose Shaun Thomas as their featured artist for the August Artwalk. Originally, the gallery planned on featuring Shaun Thomas’ work for one night only. With such positive feedback from gallery viewers, staff, family and friends, The Wyland Gallery decided to keep Shaun’s large wood surf sculptures on display for a couple of weeks. Go check them out before it’s to late! Shaun Thomas’ work consists mostly of large wood wall sculptures including surf and ocean art. Contact us for any orders or inquires on sizing, pricing or shipping.